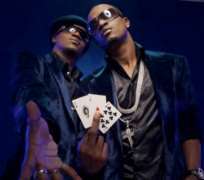 The twin brothers, Peter and Paul Okoye, definitely belong to the leading artistes in today's Nigerian music industry. This is evident in the hit tracks they have continually churned out since they got into the limelight a couple of years back. Not only that, the financial status of these prolific singers that rank them among the ten richest hip-hop musicians in the country is another factor for consideration. They opened up to SANDRA-IZUU OKAFOR on a number of issues that include their last album, their lives and why they are tired of African awards. How has your album been doing since you released it? My sister, we can't stop thanking God because He's been very good to us. Yes, the response has been encouraging . The acceptance is astonishing and it's doing well, we thank God. How will you distinguish this album from the previous one? I think there are a couple of things that distinguishes this new one. P-Square is more matured in the way we compose, the way we sing, the way we dance, I think everything. We are far better than the last time, even the video we have shot, check them out, the quality is there for everybody to see. We spent so much money making the video, and we didn't mind the cost because we were more enlightened now and we wanted to give our fans the best, which they deserve. So, 'Game Over' is more matured and very nice compared to the one before. Did you guys encounter challenges when doing the album? That is expected now (laughs), there is no way we could have avoided that. It wasn't easy doing it because we would go for shows. By the time we are back, we would be tired. And despite that, you have to rehearse and you still have personal things to attend to, so putting all these together, I see them as challenges that could affect the production if not for God. We were able to scale through and come out with this album. You guys are at an enviable height in your career, what do you look up to now? Let's get personal a bit. You guys have not been involved in any controversy despite fame. What is the secret? You see, the kind of upbringing one has, goes a long way in one's life, so I will say our upbringing has really helped us to keep out of trouble. Also, when you are focused, when you set a goal for yourself and you are working towards achieving them, it is only natural that you run away from things that could distract you. For instance, we don't go out, if you can't find us at home, means we have gone out for something important, either for a business meeting or to perform at shows, otherwise we will be indoors. That is the more reason why we are trying to make our house very comfortable for ourselves so that we will not need to go out for anything. We have a studio in this house, the space is big enough for us to rehearse, no matter what we want to do; our house is big enough for us. It is not that we don't do things with people, we do but there are limits to everything. When are you guys hoping to marry? Marry! We will definitely get married at the appropriate time but for now we have goals we have set and we are working towards achieving them. Forget the fact that material things are there but marriage to P-Square is something one has to be prepared for, mentally, psychologically and the rest, so at the right time, we will get married. Are your parents not pressurizing you? Not at all! They are not. We are just twenty eight and our parents understand we have our minds on certain things so, no pressure of any sort. How do you cope with girls because they will always come around? Like I said earlier, if you are disciplined, you know where to stop. We cannot run away from women because they constitute a greater part of our fans. We don't take advantage of them or abuse them, they appreciate us and we appreciate and respect them too. We have girlfriends alright, but we are not wayward boys that would want to take advantage of ladies. You guys wear different hairstyles, why this, since Peter and Paul are identical twins? How close are you guys to God? That is one Being we cannot joke with because that is all we have. He's everything to us, our strength, our might, our inspiration, name it. It is God! We cannot afford to joke with Him.